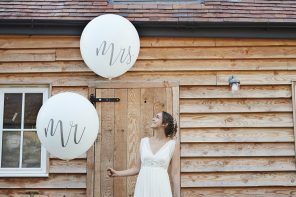 So you’ve chosen a rustic wedding theme and now it’s time to start planning the details! 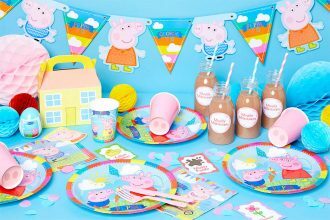 But since we know there’s rather a lot of organisation to do before you tie the knot (to say the least), today we’re just focusing on the table decorations! Table décor is a wonderful opportunity to pay attention to detail with unique, personal touches (which we all know is the key to a beautiful wedding!) 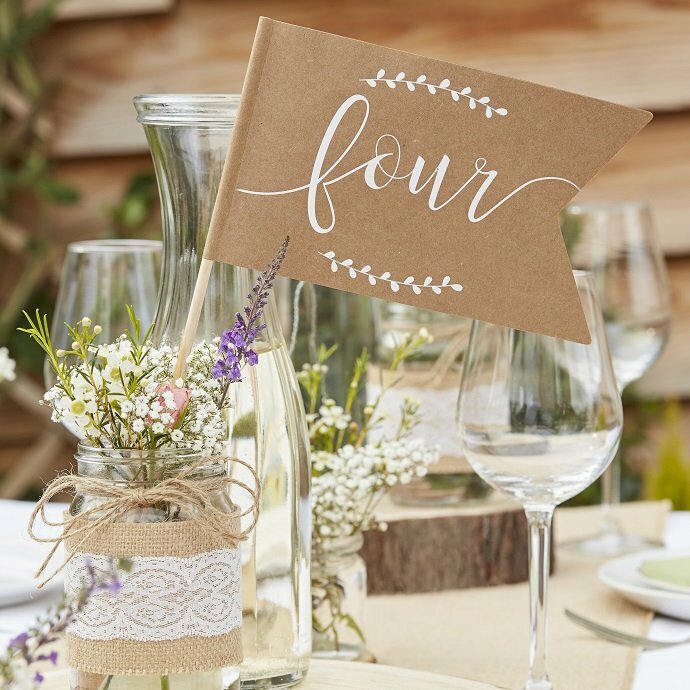 and we’ve handpicked our favourite elements of our Rustic Country wedding supplies to bring you all the inspiration you need for beautiful rustic wedding table decorations. 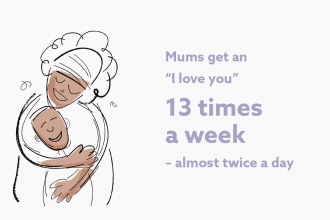 Read on to be inspired! Let’s start with an essential element of table décor – the table numbers! 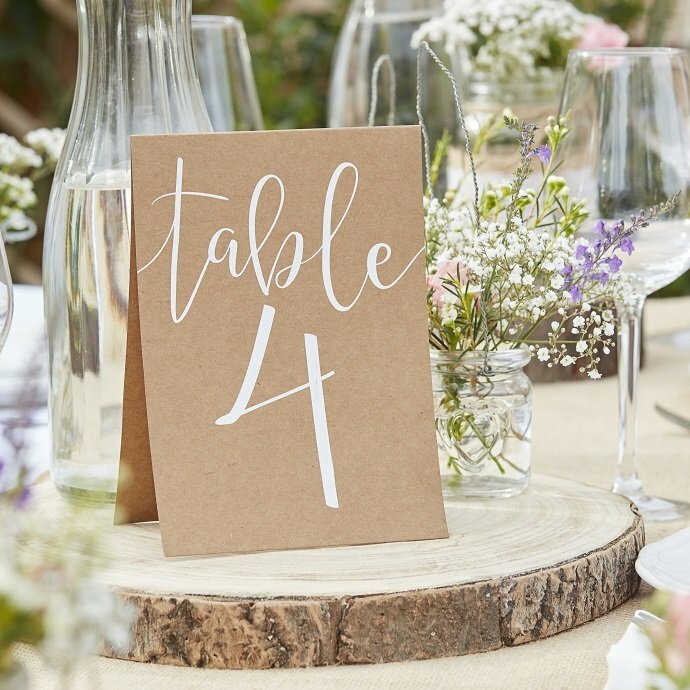 You could opt for simple table number cards like these and spruce them up by sitting each one on a rustic slice of wood. 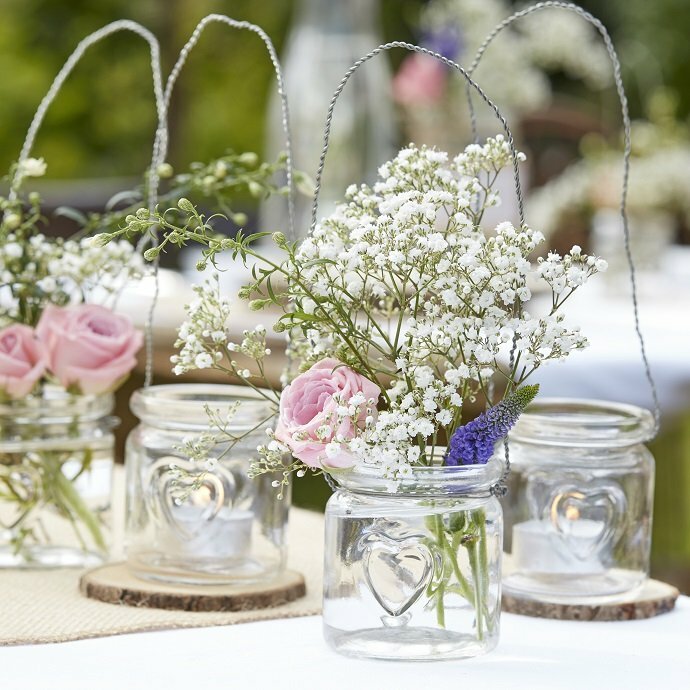 Or if you fancy going down the DIY route, you could fill hessian wrapped jars like these with wild flowers and a rustic table number flag like this! 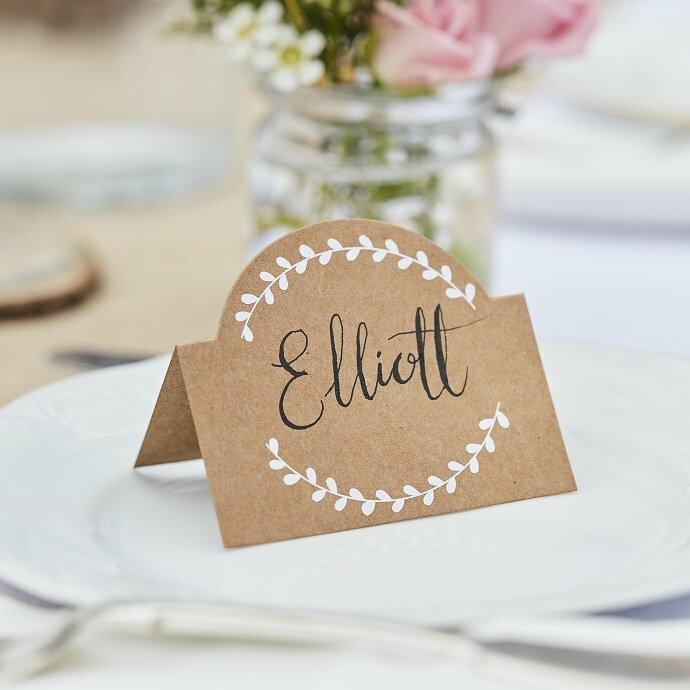 Now for the second-most important part of your table decorations – place cards! 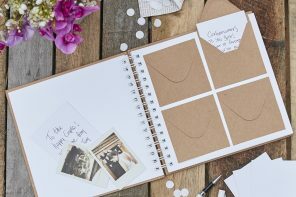 After all, after painstakingly fine-tuning the seating plan down, you want to make absolutely sure that every guest knows where they’re sitting! Or how about filling these glass place card holders with flowers? 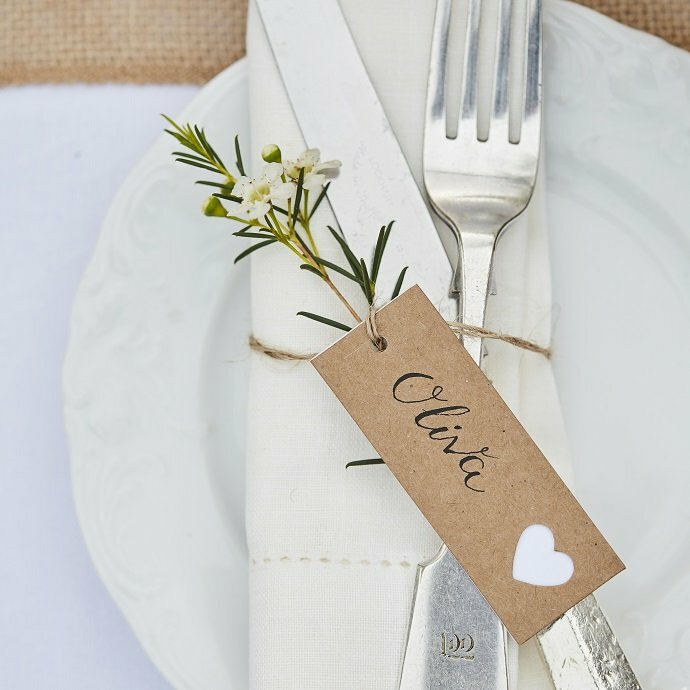 Or for an even simpler idea, how about writing each guest’s name on a luggage tag like this and tying it to their cutlery with a sprig of flowers? 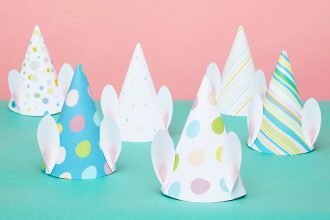 Now to spruce up your tables with some extra décor! We love these glass hanging tea light holders – how about filling some with tea lights and some with flowers? 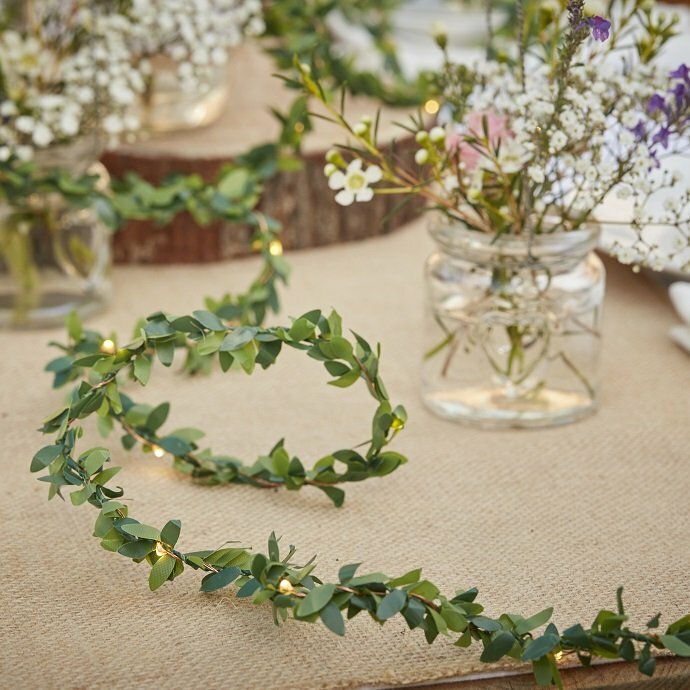 Foliage is set to be this year’s biggest wedding trend – and these foliage string lights will look lovely draped along the tables. They’re also a good way to create atmospheric lighting for the evening do! 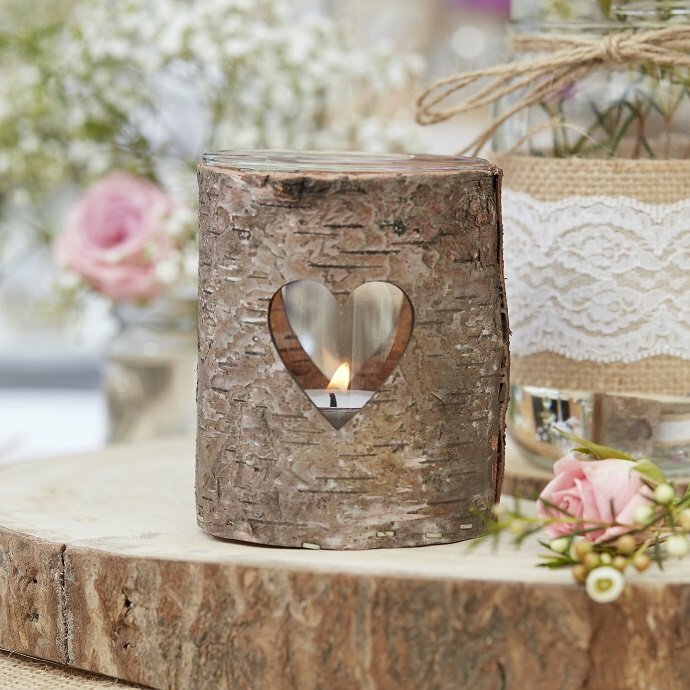 These wooden heart tealight holders look just like they’re made out of tree bark – and would look lovely at the centre of your tables! 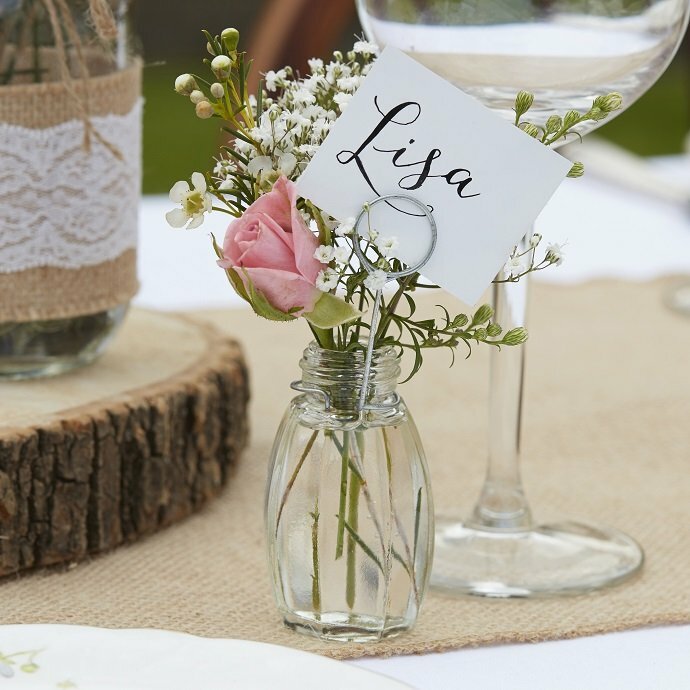 Last but not least, add a couple of personal touches to your rustic wedding table decorations! 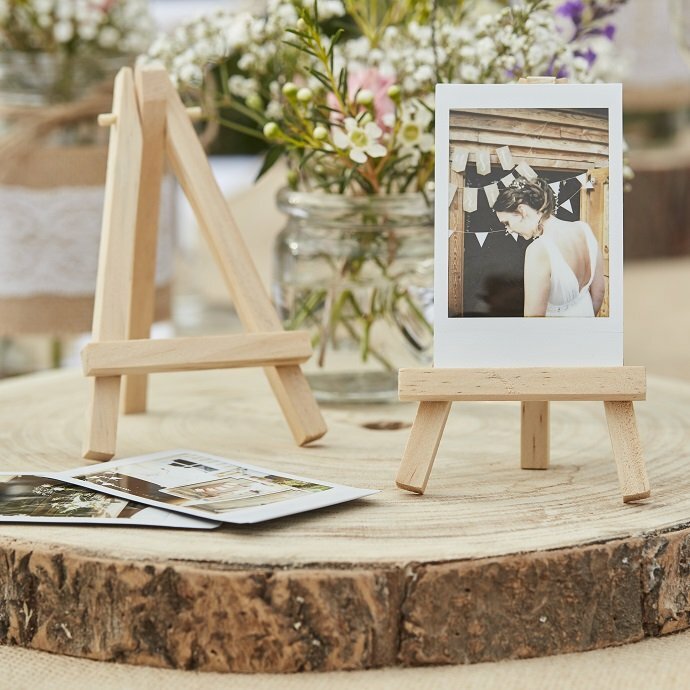 We love the idea of using these mini wooden easels to display Polaroid pictures of the bride and groom. 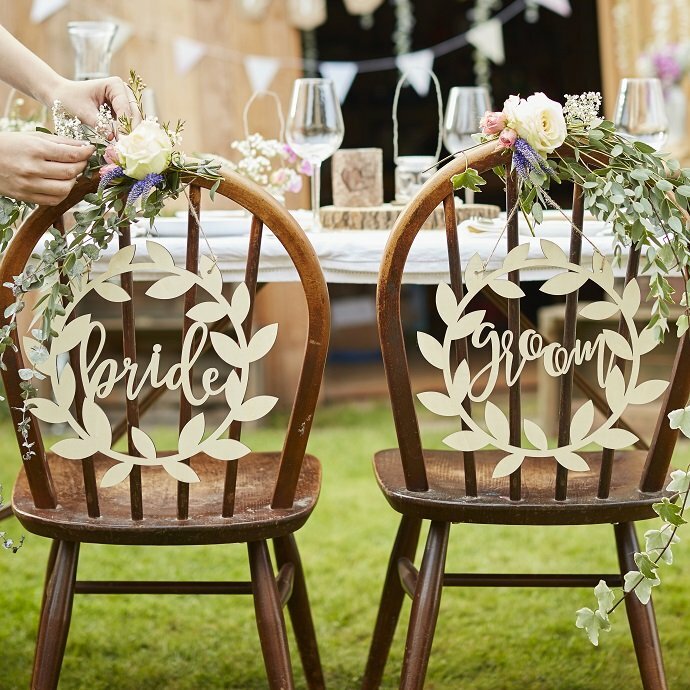 And if you’re looking for a way to make the top table extra special, how about hanging these beautiful bride and groom chair signs on the back of their seats with some flowers? 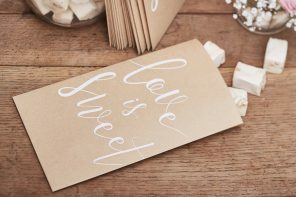 They’re such an easy way to add some boho chic to your rustic wedding! 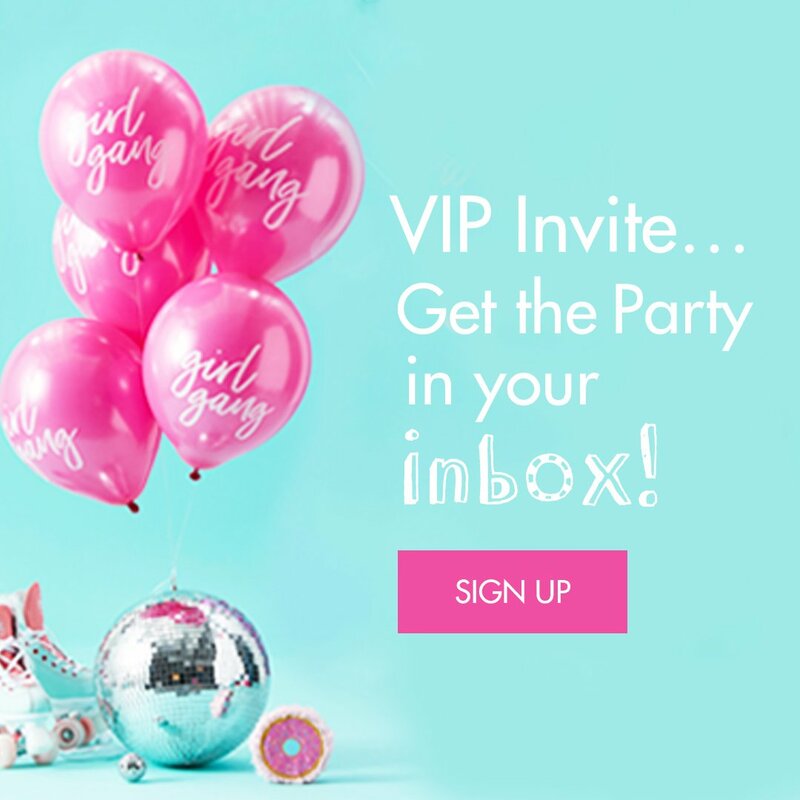 Feeling inspired and ready to plan your own wedding? 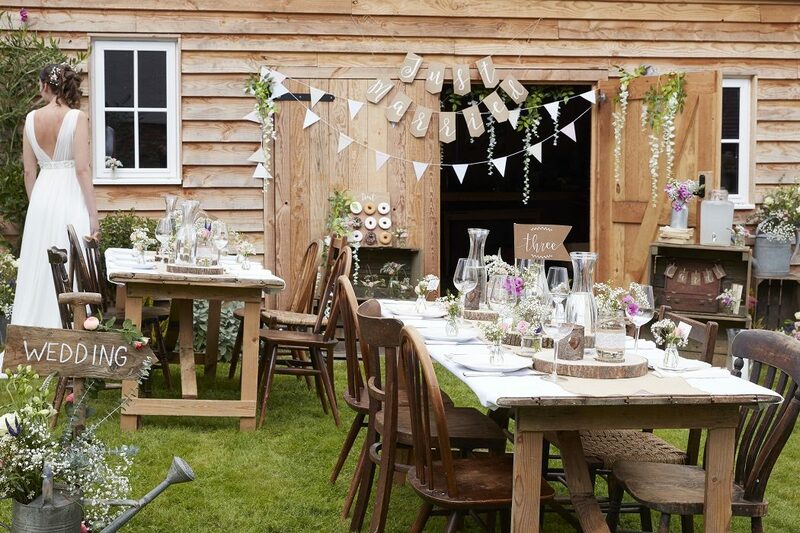 Check out our whole range of Rustic Country wedding supplies here or stay on our blog for more inspiration!